Source: The Charles E. Feinberg Collection of the Papers of Walt Whitman, 1839–1919, Library of Congress, Washington, D.C. 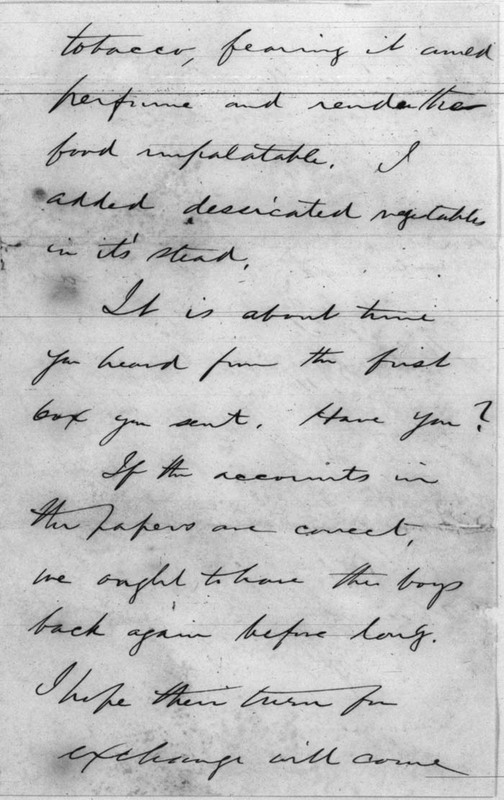 Transcribed from digital images or a microfilm reproduction of the original item. For a description of the editorial rationale behind our treatment of the correspondence, see our statement of editorial policy. 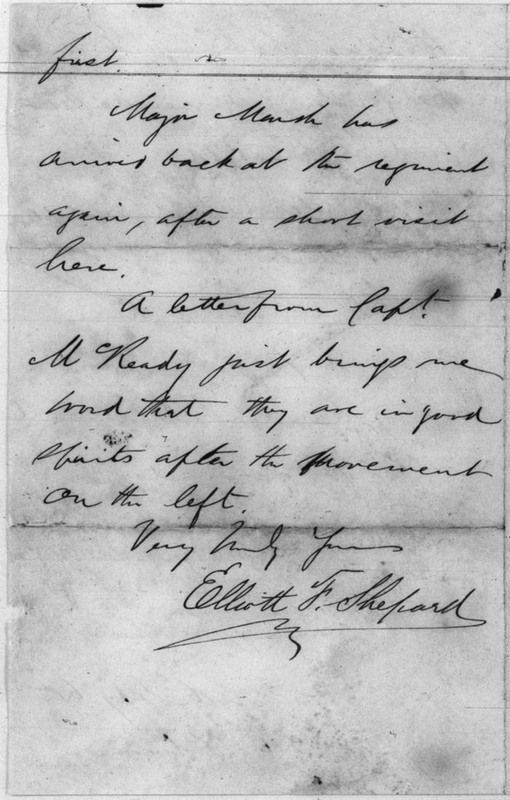 Cite this page: "Elliot F. Shepard to Walt Whitman, 16 February 1865." 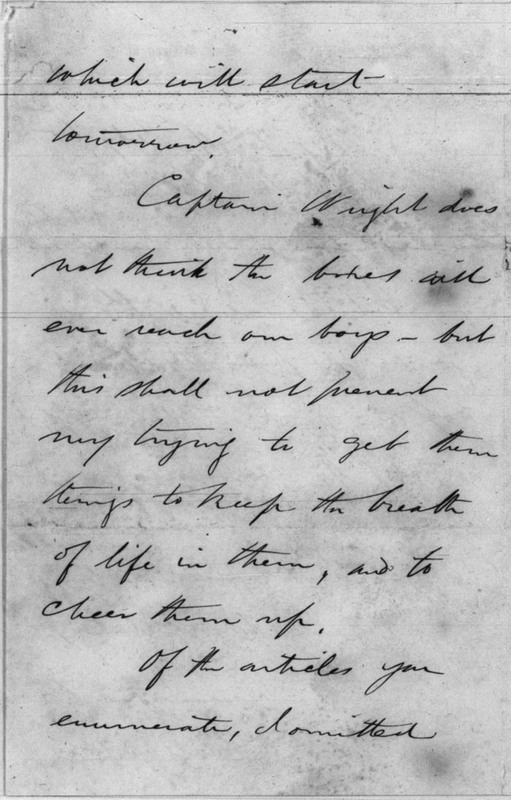 The Walt Whitman Archive. Gen. ed. Ed Folsom and Kenneth M. Price. Accessed 18 April 2019. <http://www.whitmanarchive.org>. And to-day I am having a box put up which will start tomorrow. Captain Wright does not think the boxes will ever reach our boys—but this shall not prevent my trying to get them things to keep the breath of life in them, and to cheer them up3. Of the articles you enumerate, I omitted tobacco, fearing it could perfume and render the food impalatable. I added dessicated vegetables in its' stead. It is about time you heard from the first box you sent. Have you? If the accounts in the papers are correct, we ought to have the boys back again before long. I hope their turn for exchange will come first. 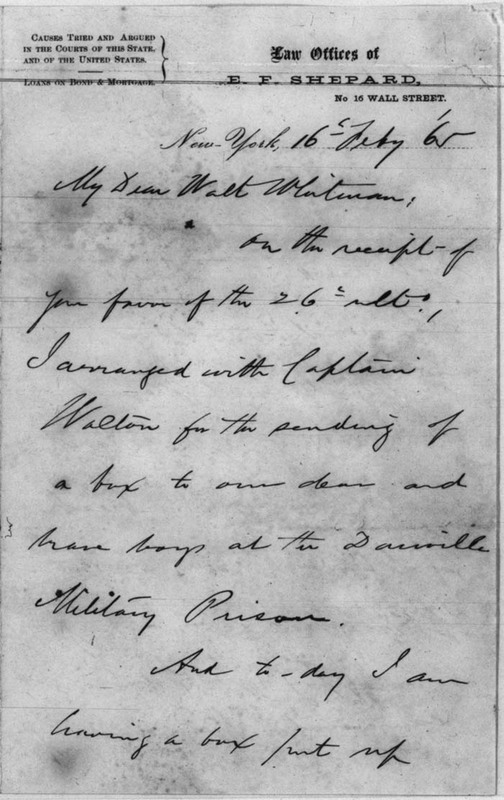 Major Marsh has arrived back at the regiment again, after a short visit here.